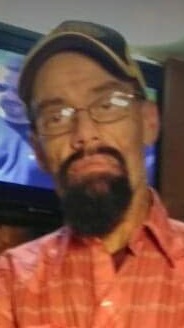 DANIEL JOSEPH EMBRY, 51, of Arcola, IL passed away at 4:43 A.M. on Saturday, November 24, 2018 at his residence. Dan was born on November 3, 1967 in Tuscola, IL. He is the son of Charles Daniel and Madonna Lee (Mattingly) Embry. He is survived by his mother, Madonna Mattingly of Arcola, IL; his father, Dan Embry and his wife Janet of Paris, IL; one sister, Tina Lee Carter and her husband Tim; a nephew, Josh Carter; an niece Elizabeth Thompson and her husband Cole and their children, Madison and Carter all of Mentone, IN and his significant other, Carla Mose and her children, Erika Doty, Tiana Doty and Devin Mose all of Arcola, IL. Dan was preceded in death by his grandparents, Dennie and Virginia Mattingly and Charles and Margaret Embry. Dan had worked at General Steel in Mattoon, IL in the late 1900s. He has recycled scrap metal for several years, he also mowed yards and has delivered newspapers since 2014. Dan was very fond of his cats. Visitation will be held from 3:00 P.M. to 5:00 P.M. on Thursday, November 29, 2018 at the Edwards Funeral Home with a funeral starting at 5:00 P.M. Burial will be at a later date. Memorials may be made to the Edwards Funeral Home, 221 East Main, Arcola, IL 61910 to help pay for funeral expenses.